What in the lord’s name took me so long to try this foundation? I am literally kicking myself because I feel like I have let myself down by leaving it for so long. Everybody has been recommending this foundation to me for so many years, but I don’t know why, I just never listened. Sometimes, products just scream at me to try them out, but this one never really did. Then I was scrolling online one night through the House of Fraser website and it was discounted so I found my shade and put it in my basket. Since I bought it I have been wearing nothing but this foundation. I genuinely am hooked on it, I can’t see me ever not wanting to wear this foundation. Foundation really is my favourite makeup product, it always has been, and I reckon that it always will be. Even though I know that I own far too many of them, there isn’t really one in my collection that I am obsessed with and that I would pick up every day without any hesitation. For a long time, I have been in love with the Marc Jacobs Remarcable, but I am finding that it is just a touch too heavy for everyday use. 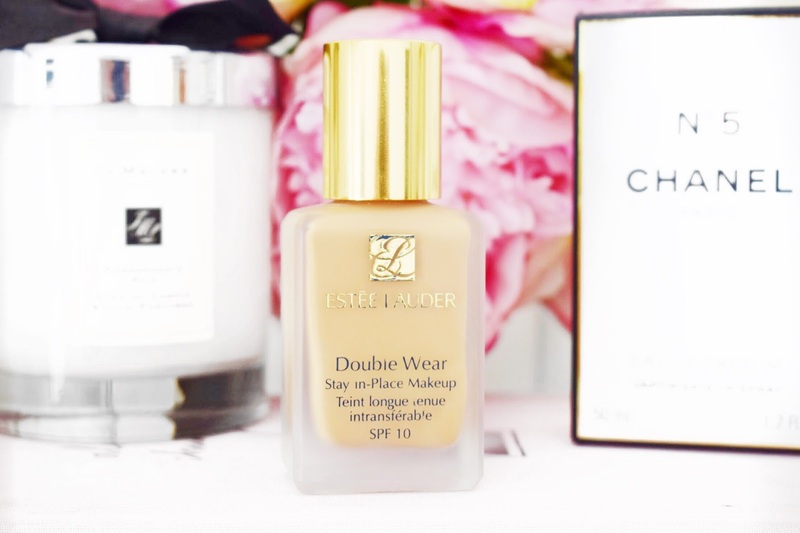 So, this Estee Lauder Double Wear Foundation is like an absolute god send for me. I got the shade Cashew which is perfect for my olive skin tone. I sometimes have problems finding the right undertone for my skin because some are too pink and some of the olive ones are just far too yellow, this colour is just right and seems to have the balance absolutely perfect for me. I will say that in this range there are so many different shades with so many different undertones so there really is something for everybody. I have a friend with a really deep and beautiful skin colour and she wears this foundation and she couldn’t be happier with the shade that she has. I usually apply 2 pumps of this foundation to my whole face and I find that it is more than enough. I normally just apply a really light layer to the whole face, then I will just go in with my Morphe foundation brush and just press some of the product into the areas where I have hyperpigmentation and where I want a little more coverage. The good thing about this foundation is that it is nice and buildable. I would say when you just go in with this foundation it is a medium to full coverage foundation. With this foundation, you also get 30ml of product which is a standard amount. This is the amount that I would expect to get in any foundation. Plus, with the quality of this product and the high level of pigmentation, I can see it lasting me a long time which is good value for money. In the Marc Jacobs Remarcable Foundation, you get 22ml of product which is considerably lower when you are using it on an everyday kind of basis. The lasting power of this foundation is also out of this world. I have an oily complexion. Most of my skin I would say does lean towards the more normal end of the spectrum but around my nose and my t-zone I am oilier. For days, I applied this foundation without my mattifying primer and it was fine. Throughout the day, I did get a little shiny in these areas, but it wasn’t anything too serious and it was easily rectified with a blotting sheet or a touch of face powder. Then when I tried this foundation with my Benefit Porefessional I was good to go. I could apply this in the morning and not even think about it for about 8 hours which is exactly what I like. Personally, I haven’t tried this foundation without setting it with a powder because for me with oily skin that is a big no. When I have this product combination on, I know that I don’t have to worry about my makeup all day because it is going to stay in place and look good all day long. The only downside about this foundation for me was that it didn’t come with a pump. If I am buying a higher end foundation I at least want a pump with it. I just find that when I pour some out I always end up wasting product. I did end up buying a MAC pump with this foundation because it fits the bottle, but obviously, that is an extra £5 on top of a foundation that is already around £30, which does make it pretty expensive. But in my eyes, it is worth it. I honestly am hooked on this foundation. I have used this more or less constantly and I think that I will continue to for a really long time. I finally feel like I have found my holy grail foundation and I am even excited to put it on in a morning, which sounds really sad I know. As normal on my blog posts I will link below to the foundation in case you want to take a look. 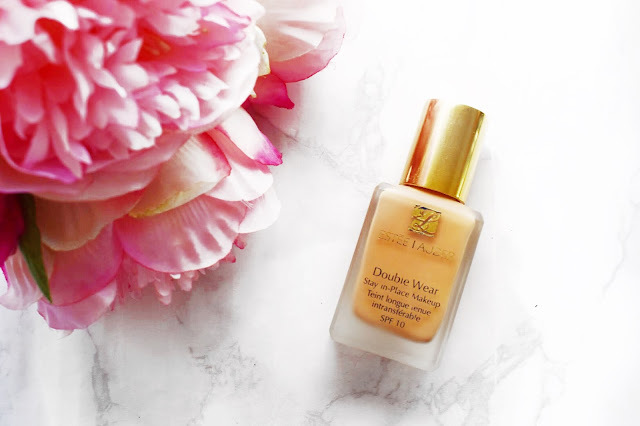 Make sure to leave me a comment and let me know if you have tried this Estee Lauder Double Wear Foundation and be sure to tell me what you thought about it! If you have oily skin then I would highly recommend this foundation. Good thing about it that because it is so full coverage you only need a tiny bit of product so it lasts a really long time! This foundation is my mom's holy grail and I always feel compelled to try it. Reading this, I can see why she'd wear this for 20 years+, really amazing product. I can honestly imagine myself still wearing it in 20 years! Wow! It sounds lovely and the packaging is so luxurious! It is such a stunning product! It is just such a stunning foundation, I love reaching for it!